Ibrox Noise: Rangers January report card - how well did Steven Gerrard do? 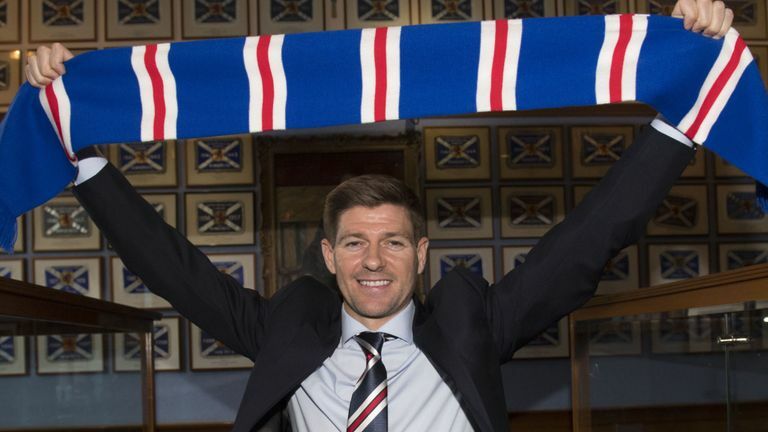 Rangers January report card - how well did Steven Gerrard do? So the transfer window has been and gone, and Ibrox Noise decided to give an appraisal and report card of Rangers’ business last month. How many of our ratings do you agree with? It all started with huge fervour as Jermain Defoe and Steven Davis arrived in quickfire succession early on in this window. One was an ex-England international, the other a current Norn Iron international. Theoretically two very fine players, but we were very puzzled to see how Defoe would fit in. Later on, Jordan Jones was added along with Glen Kamara, both on pre-contracts, before Barrow Town’s Andy Firth rather suddenly showed up, soon flanked by USA international Matt Polster. Last but not least, at the eleventh hour, Dundee’s Glen Kamara was confirmed an immediate signing. The name was huge, and set Britain’s tongue’s wagging. 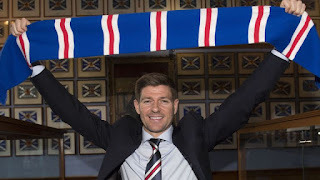 It was one of the biggest transfers of the window, period, and almost matched the fever over Steven Gerrard becoming manager. As he’s played though, it’s been a little less impressive. He’s managed a goal, but little else. Hopefully he’ll get up to speed but we’re struggling to see where he’ll fit in in terms of being a starter. Odd one. Another big name, not as big as Defoe but a fine player and well respected by fans of British football. It was a big coup to get him back from Southampton and he seemed eager to return. His performances have been good – not set the world alight but a smooth and professional level of quality about him and we’ll see how he fits in over time. No one knew who he was. No one still knows who he is. He’s been signed for reasons unknown, and he comes from the National League, having been coached in the Liverpool youths by his new manager. It’s a curious signing, obviously for goalie depth, but then we’ve spoken about that already. Signed for quality depth in defence and midfield, Polster, a one-time US international, does seem to have a bit of something about him – well-rated in the MLS, he’s a player who many feel should have achieved more in his career given his talent. Well, he has the chance now. It’s not like Rangers have enough midfielders, right? While some question the signing of yet another man for the middle, this is a top-class Finnish international with a tonne of experience already at only 23. He cost a mere £100,000 and it really could be money well spent. He was very highly rated by Dens’ fans till his performances dropped off recently. Rangers failed to sell anyone this window. No contractual freeings either. On one hand that’s good because we didn’t lose Alfredo Morelos, James Tavernier or Ross McCrorie (remember Swansea’s reported interest) but we also didn’t shed any dead wood either. So, that is very disappointing. Rating: We’d score the retention of our best players 10/10, but the sales of the dross 0. Which one matters more to you? Benefit and a hazard all at the same time. This was the only way Rangers could get deadwood off the wage bill, even if only temporarily. Some of the loans out we’d actually have preferred to keep – Rossiter, Alnwick, Hardie and suchlike, but others, such as Barjonas, McCrorie and others would not have played enough or got any worthwhile experience staying. It’s poor though that Rangers have now got 16 players out on loan – in our lifetimes as Rangers fans we don’t recall a loan output that ridiculously high. Rating: 8 for the fact we got some more deadwood off the payroll for 6 months, 3 for the fact we couldn’t sell a single one of them. Not one mention of Docherty? over the next 4 months SG and the management team will asses every single player, including the ones on load. Come the next window everyone who doesn't make the grade will go (inc Defoe if he doesn't cut it), we will be left with a more well balanced squad. Watch this space.. It not that simple hence the reason we still have Pena and Herrera stinking the place out( in their absence). Also think the Manager/Board should have done more to shift some of the Players who aren't gonna play.